This stunning 5/6 bedroom detached Edwardian residence has recently undergone a full refurbishment programme and is a credit to the current vendors, it has been finished to a very high specification and has accommodation briefly comprising spacious reception hallway, downstairs shower room/wc, two sitting rooms, stunning bespoke kitchen/diner with integrated appliances, separate utility room, playroom and ground floor bedroom with en-suite shower room/wc. 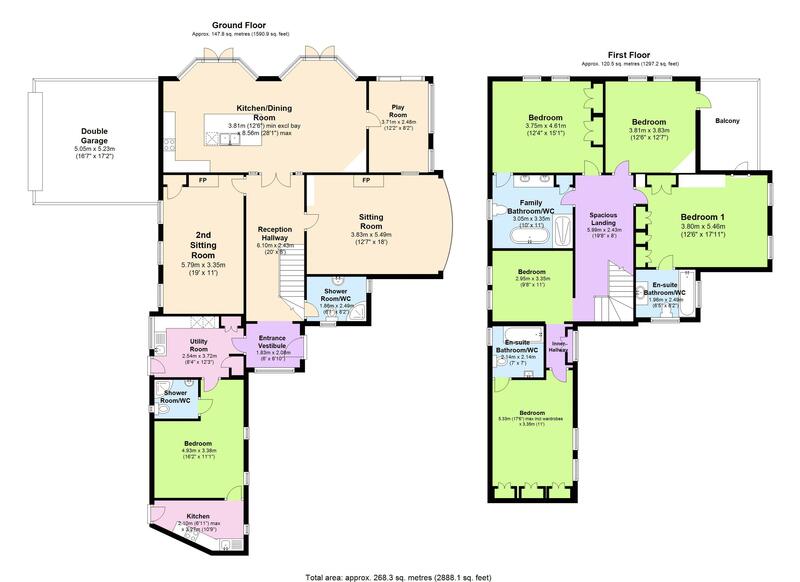 There is an impressive galleried style first floor landing that gives access to 4 double bedrooms, 3 with en suite facilities and a study/occasional bedroom 6. Outside there is gated access to a spacious stone chipped driveway allowing ample off road parking, the gardens wrap around the side and rear of the property which have been mainly laid to lawn and superbly landscaped with a private stream. From Hennapyn Road there is access to the double garage with electrically operated roller shutter door. The property occupies a much sought after residential position on the edge of Cockington Village being within a few hundred yards of Cockington Village and Torquay seafront. It is also within close proximity to the two grammar schools, Torbay hospital and the ring road which connects Newton Abbot and Exeter with its regional airport. It is within approximately quarter of a mile from Torquay train station which connects Newton Abbot and has mainline railway links to London Paddington. An internal inspection is essential to appreciate the size, position and condition the accommodation boasts.